In The Name Of Allah, The Most Gracious, And Most Merciful. Assalamualaikum Wbt and Salam Sejahtera. 1. Allow me on behalf of the people of Kempas to express our gratitude for the opportunity to take part in the debate on the motion of thanks for His Royal Highness’ Royal Address delivered at the Sultan Ibrahim Building recently. 2. I listened with great concern the Royal Address by His Royal Highness The Sultan. 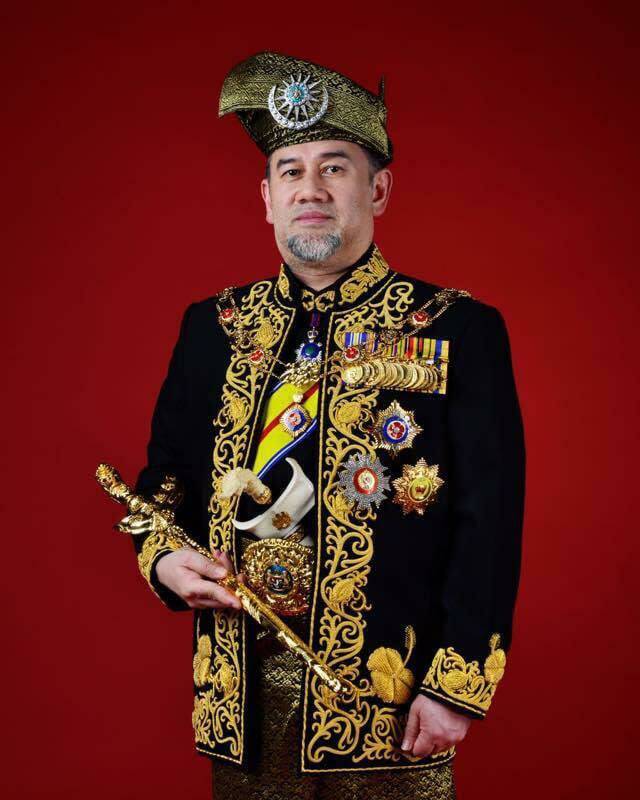 It is evident that His Royal Highness Sultan Ibrahim ibni Almarhum Sultan Iskandar is sensitive to the situation in the country, particularly in the state of Johor Darul Taqzim. 3. As citizens of Johor, we continue to place our loyalty to His Royal Highness The Sultan. 4. In all sincerity, I represent the people of Kempas in commending the Menteri Besar for his pledge and promise to not allow the development of gambling dens in the form of casinos anywhere in the state of Johor. 5. As citizens of the state of Johor, we feel relieved and very grateful for having a Menteri Besar who has a strong enough will to not allow any evil elements to set foot in the state. 6. 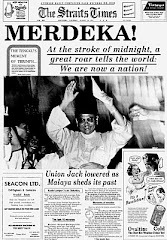 Nevertheless, it is our hope that the pledge by the Menteri Besar is realised in its entirety, applying not only to full scale casinos, but also to any and all gambling activities, including but not limited to “slot machines” that are still found in many premises across the state of Johor, including in shop houses. We hope that all of these gambling activities are eradicated without any exemptions, irrespective of whether they are run by illegal small-time operators or indeed by any of the big-time businessmen, who may have already gained a foothold in Johor, and having already obtained their gambling licenses from the federal government, may feel confident of getting the necessary approvals from the District Office in order to operate in Johor. 7. My worry stemmed from the fact that of late, Johor is seen as a destination by several licensed gambling bosses who mask their real intentions behind the veil of a real estate investment. If we are not alert, there is the possibility that they would include gambling dens within their respective establishments which are already licensed to sell liquor. 9. Our righteous efforts to empower Islam in the state, by changing our off days to Friday, will be in vain if we give the gambling bosses the nod for them to launch their empires here. 10. It is not my intention to question the pledge given by the Menteri Besar but at times, there is a need for us to give friendly reminders to each other. 11. I suggest that as we promise to insulate Johor from any form of gambling elements which may be brought in by investors from outside Johor in the name of development, we must ensure that all economic activities are shared equally and are acceptable to all. 12. The wealth in Johor should be enjoyed by the citizens especially those who have given their trust and support to the Barisan Nasional government through the generations. The loyalty, obedience and the pureness of heart of Johoreans should not be forsaken as we entertain foreigners in the hope of attracting foreign investment. 13. While we welcome foreign investments into Johor, we should be wise enough to assess the merits of these investments. The key questions that must be answered are whether the investments can benefit Johor and Johoreans in terms of job creation and employment, business opportunities for the local small and medium sized enterprises, joint ventures in the support services sector with local companies, technology transfer and so on. 14. The sale of land to foreign investors does not add any value whether directly or indirectly to the people of Johor. Instead, it only benefits the individuals partaking in the said transactions and would result in the migration of the less fortunate citizens to the rural and remote areas as the cost of living in the city will definitely rise. Furthermore, there would certainly be a clash of cultures between the locals and the foreigners, if the latter intends to flood the affected areas and the city. 15. I read recently from the local and foreign news reports about the existence of a foreign power in the state. 16. A foreign news website had published that a business magnate from a neighbouring country had signed a memorandum of understanding @ MOU with a local party in Johor to establish a security company in the Iskandar Development Region. 17. The company belonging to the foreign billionaire is also said to be eyeing the opportunity to widen its network to not only provide 600 well-armed security guards but also to create cutting-edge security equipment including intelligence systems. 18. This billionaire's security team, which equates to almost a battalion of soldiers, will be stationed in the Iskandar Development Region, if he is successful in securing the contract. 19. To my understanding, the report also stated that the said billionaire is expected to secure the contract to supply personnel and security systems and equipment in Penang and Kuala Lumpur under the guise of an intellectual partnership. Think about it, the Iskandar region, Penang and Kuala Lumpur are three of the most strategic regions in our country, and this could open us up to international sabotage activities. 20. 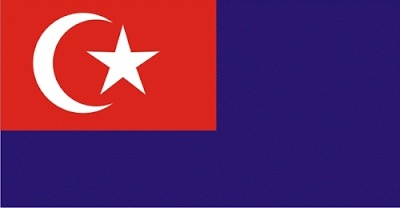 And if it is true as reported, this means that the state of Johor will no longer be the country's main bastion. Instead, Johor may ironically serve to be the most important bridge for that foreign country to widen its regional network. 21. If we approve the implementation of this foreign-controlled security system together with its horde of security guards, can the government guarantee that every state secret is fully-protected? Can the authorities in charge of national sovereignty and security ensure our state of preparedness for any eventuality? 22. Let us not continue to stand aside and allow politicking and mismanagement to jeopardise the future of our people and our nation, when we still have the opportunity to act. It is still not too late . Insh'Allah. 23. 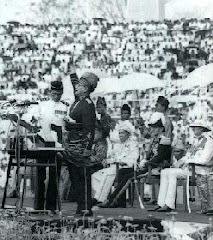 Kempas upholds His Royal Highness The Sultan’s Royal Address on Pulau Batu Putih. We lost our sovereignty over Pulau Batu Putih, now known as " Pedra Branca ", to Singapore when the Attorney-General’s " learned and wise " team lost the hearing at the International Court of Justice in The Hague. 24. 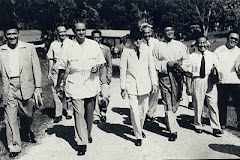 If Pulau Batu Puteh (which has a physical form) can escape from our hands, (and we now have to work to win it back, Insh'Allah), we may not even be aware when we lose part or all of the sovereignty of our country, because intelligence is not an enemy which has a physical manifestation. Are we prepared to lose once again a big part of the sovereignty of our State? 25. Would we want to gamble away the independence that we have savoured all these years, by possibly giving our government’s secrets away to a foreign national who has no allegiance to our country, and compromising on the privacy of the people of Johor? May Allah Forbid! 27. As such, we must seek first to protect the security of our country by ourselves, before leaving our destiny fully in the hands of God. 28. Based on our myriad of experiences and many controversies, could we simply plead ignorance and remain passive, now that we are aware of the possibility that this foreign billionaire has already signed the aforementioned memorandum of understanding with the local party? 29. In the robustness of real estate development and other investments in Johor, especially in my constituency of Kempas, I appeal for the honesty, steadfastness and sincerity of the administration of the Honourable Datuk Menteri Besar to not allow any party to cause the people of Johor, especially those of Kempas, to shed any more tears of regret. 30. Indeed, when we chant the State’s slogan "Luaskan Kuasamu”, which has already become our sacred Mantra, it is our duty to ensure that the State's slogan applies exclusively and specifically to the people of this State. It should never be construed as an open invitation to any foreigner wanting to expand their power on Johor soil. 31. Kempas prays that the Citizens of Johor are not merely victorious in their loud War Cries, while our state slowly slips into foreign hands. 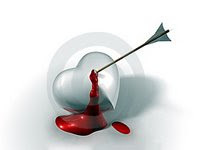 May God Forbid! 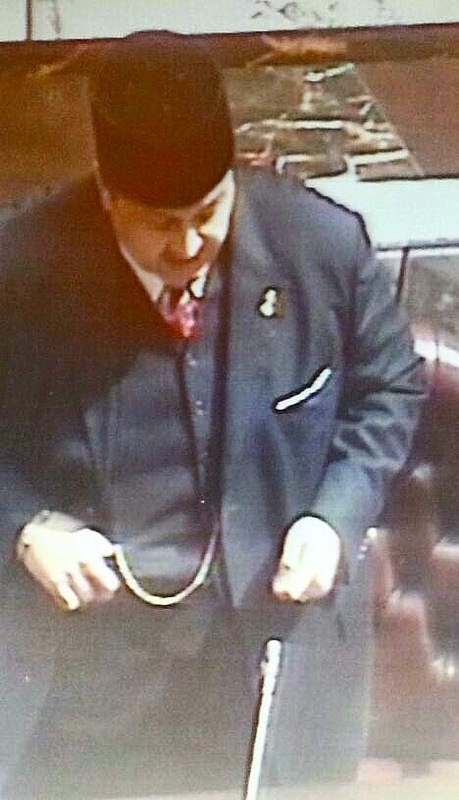 With that Honourable Datuk Speaker, I Bid You “Luaskan Kuasamu”! Ada kebenarannya diatas kenyatan yang diutarkan oleh YB. 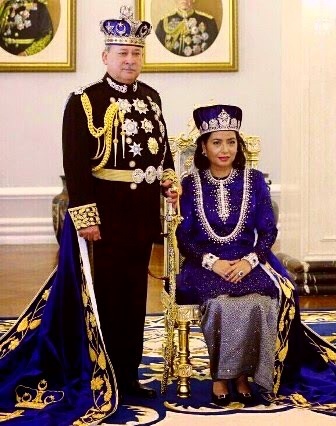 Sebagai contoh; saya adalah anak Jati Johor. Apabila melihat pembangunan di Danga Bay sebagai contoh saya tertanya-tanya untuk siapa. Pengalaman melihat pameran dan promosi jualan rumah di situ, seolah-olah saya bukan berada di Johor, tetapi di negeri yang penghuninya bukan orang Melayu. Bilangan orang 'Johor' boleh dikira dengan jari. Yang menyebabkan perkara ini berlaku adalah kemungkinan orang yang berkepentingan. Bila nilai hartanah di Johor Bahru meningkat, ke mana orang Johor nak melarikan diri. Orang yang berkuasa di Johor ataupun di Persekutuan.. adakah jenis pembangunan ini menguntungan orang JOHOR! SubhanAllah, saya tidak menyedari hal ini berlaku di negeri saya, saya tidak halalkan ianya berlaku, Pemerintah akan menanggung segala amanah ini, di akhirat kelak mereka akan menjawab. Saya bukan raayat Johor tetapi sangat bangga dengan keberanian YB. Tahniah di atas ucapan YB Tg. Adalah di harap lebih ramai YB2 yg berani untuk menjaga kepentingan RAKYAT NEGERI JOHOR KHASNYA ORANG MELAYU. Apa yang diperkatakan telah pon lama bermula dan semakin lama semakin teruk. Rakyat melihat dan mengahtawi ,malangnya sebagai rakyat biasa, tidak banyak yang bolih dilakukan ,hanya bersungut sesama sendiri sahaja . Bumi Johor dan kedaulatan Johor tergadai secara berluasluasa olih mereka yang berkuasa ,dan mempunyi kuasa. Ibarat perpatah Melayu mengatakan , 'harapkan pagar ,pagar makan padi' , kalau pagar sudah tidak berfungsi sebagai pagar ,maka wajiblah pagar itu diganti,bagi megelakan anak cucu akan kelaparan. Saya percaya rakyat Johor telah berputus asa dengan apa yang berlaku! 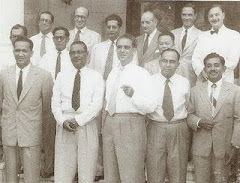 Semua perkara dengan singapore kita telah mengalah. Isu air jangan cakap la. Bertindaklah sekarang YB2 kita! Saya tabik pada Kelantan kerana menolak pembangunan kerana hartanah akan jadi milik orang asing! Tidak kah semua orang berkuasa di Johor faham? Allahuakbar! Subhanallah! Bilamana membaca dengan penuh teliti baris demi baris, bait demi bait teks ucapan dari wakil 'roh' rakyat, maka bertepatanlah rakyat yang diwakilinya diKempas memilih beliau sebagai wakil keramat mereka. Dikala, ramai yang terpaksa 'tunduk' membisu walaupun hati yg penuh amarah melihat 'penguasa' dengan rakus memunggah kekayaan dengan penjualan tanah2 dinegeri yg bergelar 'harimau selatan', YB telah membuktikan bahawa Allah itu Sa dan tiada siapa boleh menidakkan kekuasaan Allah waima manusia yg berdarjat sekalipun. Kupasan keluh kesah rakyat ini akhirnya telah YB kumandangkan dengan bahasa yang molek tetapi tegas, garang tetapi halus dan berani tetapi berkias. YB, teruskan kemaraan perjuangan YB. Yang menentukan, kun fayakun adalahNYA. Rakyat jelata kini berada kemas dan erat dibelakang YB. Tidak ramai yang benar2 mewakili rakyat. Sebilangan besar lebih rela maruah, nilai perjuangan mereka 'diperkosa' dek ketakutan tanpa sebab bagi menjaga pangkat dan gelar. Biarlah YB diherdik 'murka' tetapi diangkat 'maksum' oleh rakyat. YB sejujurnya, saya adalah peminat tegar 'mengejut' YB yg lahir dari keberanian matang YB dalam membela bumi keramat ini yg telah didaulatkan kesuciannya beribu tahun dahulu. Akhir kata YB. Usah gentar, yang benar itu tertulis olehNYA, maka perjalanan seterusnya adalah jihad yang dijanjikan syurga oleh Allah. Terima kaseh diatas pandangan yang dihulurkan. Sememangnya benar dan lebih menyedihkan adalah saya difahamkan kumbahan najis dari rumah2 mewah di Danga Bay itu di hantar ke kawasan Skudai Kiri di mana ianya dihuni oleh majoritinya orang Melayu. Saya telahpun mengutarakan perkara ini dan kita sama sama perhatikan akan perkembangannya kelak. Terima Kaseh di atas ucapan tahniah Tuan// Puan. Benar. Pemimpin di semua peringkat dan darjat akan di pertanggungjawabkan di Dunia dan di Akhirat. Terima Kaseh. Ini adalah tanggungjawab semua terlebih lagi yang telah diberi mandat oleh Rakyat dengan izin Allah SWT. Ini adalah kewajiban, bukan keberanian. Insh'Allah. Terima kaseh kerana menumbang di The Patriot. Terus berdo'a agar ahli2 Yang Berhormat yang lain akan sedar sebelum ianya terlambat bahawa yang meletakkan kita di sini adalah Allah SWT melalui undi yang diberikan melalui Rakyat dan bukan mana2 pihak yang lain. Terima kaseh kerana mengunjungi blog The Patriot.